S S Automation is a trusted name in the industry that is engaged in offering a wide range of Weight Packing Machine. Made available in numerous models, these efficient and durable systems are widely used for measuring and packing bulk materials. Appreciated and accepted for its resilient construction and corrosion resistance, the offered systems are widely sought after. 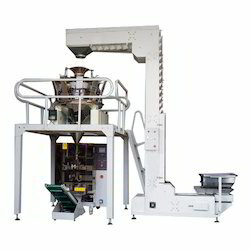 We are looking for queries for Multi Head Weigh Filling Machine from Coimbatore, Tamil Nadu, Kerala, Karnataka & Andhra Pradesh.